I grew up in a little community in the State of Washington called Tonasket. My dad had an apple orchard and I was the oldest child. My feet were the first to reach the pedals on the tractor, so I learned to drive when I was ten. Then I helped him work the orchard. We were poor, but as children we didnt know that. We got our money from the crop after the crop sold. We had chickens and sometimes we had turkeys, but I hated turkeys because they chased me. We traded apple wood to people who raised cattle so they would have wood for the winter. Thats how we got beef for our freezer. "One of my friends used to call me an eco-warrior. I didn't like to speak in front of a group, but the whales, and the seals, and the turtles can't speak for themselves, so I would go and do it." I learned that things arent easy. I had to work for everything I got. My dad would buy me a good pair of sturdy shoes for school and anything else I wanted I had to earn money to buy myself. So I picked apples and when I was older I packed apples. Those were the ways I could earn money to buy things. What brought you to Hawaii? I married John, a Hawaiian football player. I went to a small junior college in Wenatchee, Washington and they were importing Hawaiian football players in those days. He sat behind me in history class and thought I had great halfback legs. When we married, his dad sent us airline tickets, so we came to Hawaii. Tell us about people who have influenced you. I think one of the most influential people was Lorin Gill, the founder of the Sierra Club in Hawaii. After meeting him during a service trip to Kalalua Valley, I volunteered with the high school hikers program. During that time I hiked with Lorin and I learned a lot about Hawaiian words, Hawaiian places, and the natural resources. He really did have a big influence on what I became later on because I got really involved in Sierra Club and got to be kind of an activist, too. One of my friends used to call me an eco-warrior. I didnt like to speak in front of a group, but the whales, and the seals, and the turtles cant speak for themselves, so I would go and do it. Why did you decide to support UH? I think its really important to support a local college. My grandson graduated from UH and Ive got two granddaughters going to Kauai Community College. One of the things my gift has created is a scholarship for students who want to work in natural resources. This is my way of honoring Lorins memory. 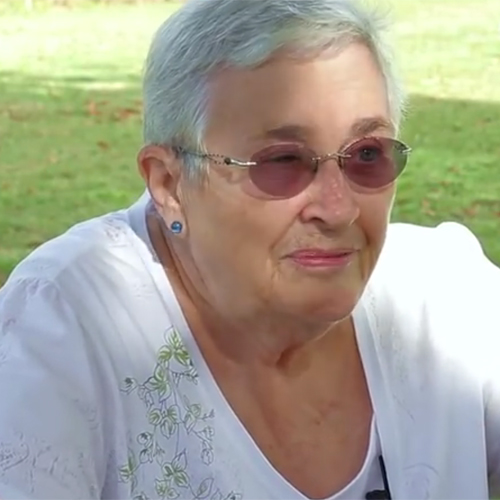 Annette talks about her life and what inspired her to give, in this video interview.